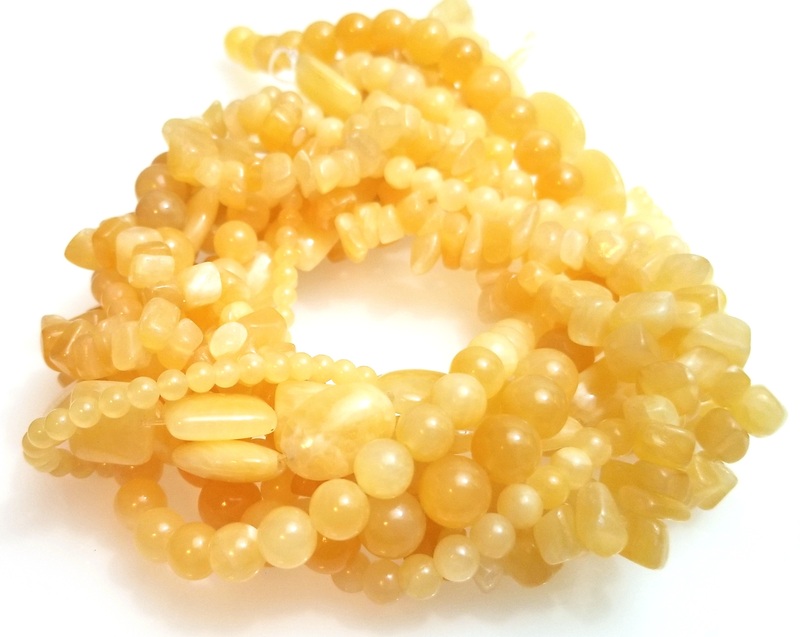 Our Yellow Calcite Semiprecious Gemstone Beads are very high quality Gemstone Beads. Each of our Calcite Semiprecious Gemstone Beads are polished to a smooth finish. Each Calcite Semiprecious Gemstone Bead has its own unique combination of pattern and color. Yellow Calcite is also known as Honey Calcite. Yellow Calcite is considered a stone that helps with relaxation. Yellow Calcite has a Mohs Hardness of 3 and is a translucent stone. 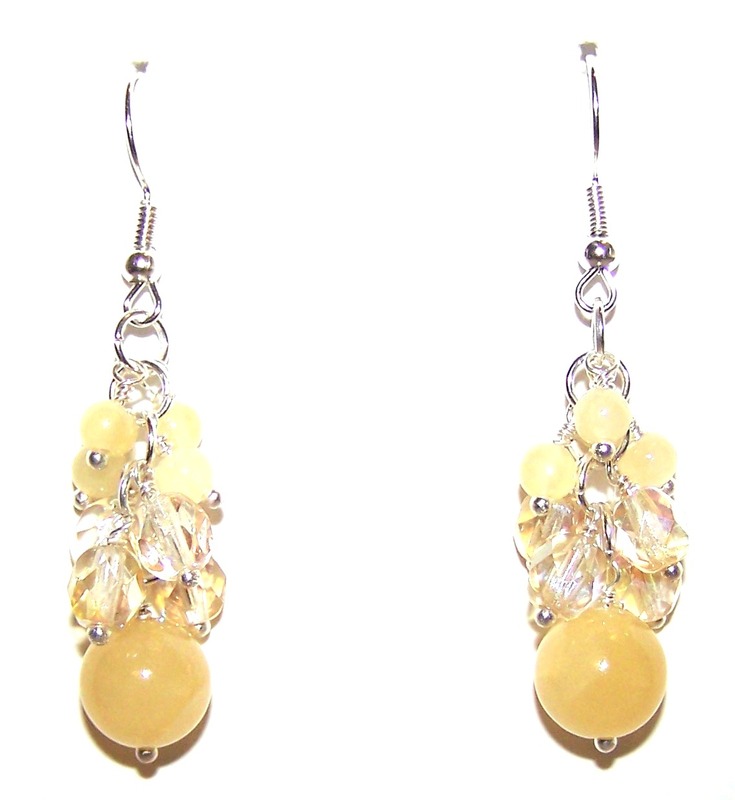 Here is a pair of earrings you can view in our Beaded Jewelry Pattern Center that features our Yellow Calcite Semiprecious Gemstone Beads.